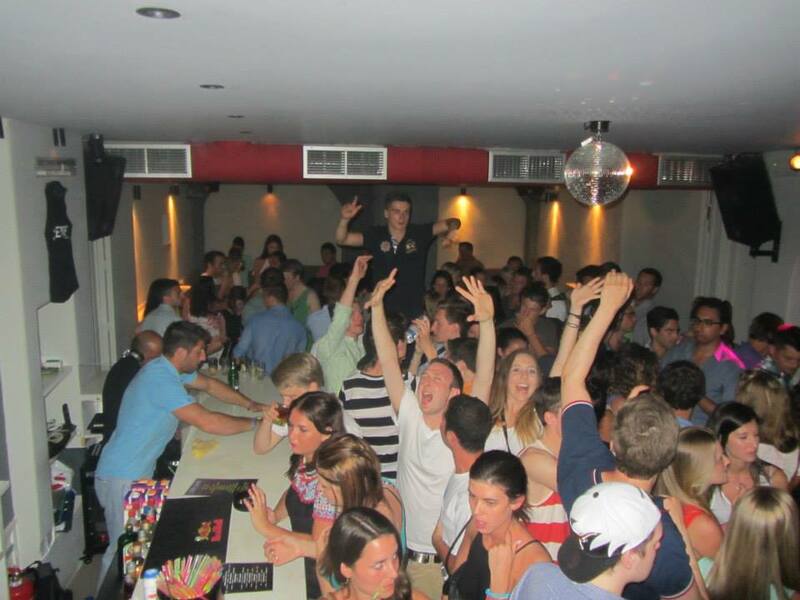 Francescos Hotel & Hostel for backpackers in Ios Greece. 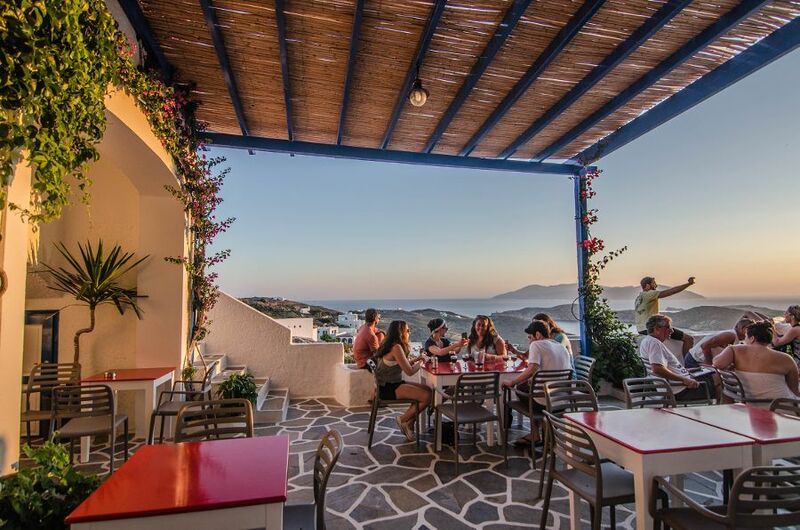 If you’re looking to stay at the most recognized Hotel / Hostel in the village of Ios, then Francesco’s is where you’ll find yourself. For our guests, the vacation begins from the moment you step in to the port. Upon arrival at the hotel, we find that our guests are always amazed at the actual location of our premises. Situated on a picturesque Cliffside location, our view of the island is second to none. We are a family run hostel where everybody is made to feel at home and all your needs are catered to. From the time you arrive to the time you depart you become part of the Francesco’s family. With the surrounding village ( which comprises all the nightlife ) right at your doorstep, and many famous beaches only a 20-min walk away, FRANCESCO’S truly offers anything you could ask for in a place to stay. Established for over 37 years, we pride ourselves on the small details, and it is for this reason, that we are heavily-booked every year with returning guests and friends from all over the world. Our local, intricate knowledge of Ios allows for personalized service with restaurant recommendations, advice on day activities and assistance with travel arrangements etc. Aside from a beautiful location, our facilities also please our guests due to our fastidious cleaning schedules, and the simple, yet classical Greek style of the rooms. All hotel rooms have air-conditioning and televisions and dorm rooms are situated in the same area as the hotel rooms, thereby with no curfew or lockout – and hot water 24 hours a day. Our Reception offers Internet access, free safety deposit boxes and endless tourist information with maps, brochures and guides for Ios. We like to think that our amenities all combine to make your holiday completely memorable – but we also offer one extra bonus to cap off your stay: an Infiniti-styled, outdoor pool. Open during the day, it is the perfect location to relax with one of our lovely cocktails. Only for the DORM rooms we have a maximum age limit of 33 years old. When booking dorm beds, please note that you’re reserving the bed only and not the room. So for multiple bookings you are not guaranteed to all be in the same room. Free internet access and WiFi is available all around the pool, the terrace and the bar area from 09:00-24:00. WiFi is not available in the rooms. With gorgeous views across the port and to other islands, our breakfast terrace area is always appreciated, especially with service offered until 2pm. Approaching the evening, our guests continue to be amazed as they sit in the outdoor bar area and watch the sun gently fall in to the Aegean Sea. Comparable to a sunset on Santorini. With our bar open every day from 10 am – 12pm, it is the perfect spot to socialize as we offer free welcome shots every evening (perfect for the solo traveler), with everybody then joining together to head to “Blue Note” – the first nightclub to start off the Ios party scene (where our guests also enjoy free entry). Only the best is good enough for our guests. We look forward to your visit! !